Manufacturing facilities continue to explore ways to optimize processes by saving energy, reducing CO2 emissions, and improving safety. An area of plant investment that generally pays great dividends is in the optimization of combustion. By precisely controlling the air-fuel ratio, positive outcomes in fuel savings, emissions, regulatory issues, and safety are realized. The implementation of a process instrument called a "tunable diode laser spectrometer" (TDLS) gives plant operators an excellent advantage in the management of combustion gases. Tunable diode laser spectrometers are laser-based gas analyzer which provide a quickly updating optical analysis. The TDLS line offers measurements for process gas, flue gas, impurity analysis, custody transfer, and safety with in-situ and extractive methods supported. They utilize laser absorption spectroscopy to detect and measure the concentration of O2, CO, CH4, NH3, H2O (and many more NIR absorbing gases) in combustion and heating processes. 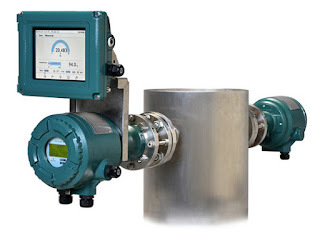 Tunable diode laser spectrometers non-contact sensors are are optimal for use in corrosive, abrasive and condensing applications in the oil, petrochemical, electric power, iron and steel, and other industries. For more information on tunable diode laser spectrometers, contact Classic Controls by calling 863-644-3642 or visit https://classiccontrols.com.